Water is one of the most widely-used and healthiest drinks in existence. Are you drinking enough? There are plenty of benefits to drinking more water, and reasons against it are slim to none! 1. It’s almost always available to you! Bottled water is great for when you’re on the go, but why spend money when there’s water readily available in your home?! 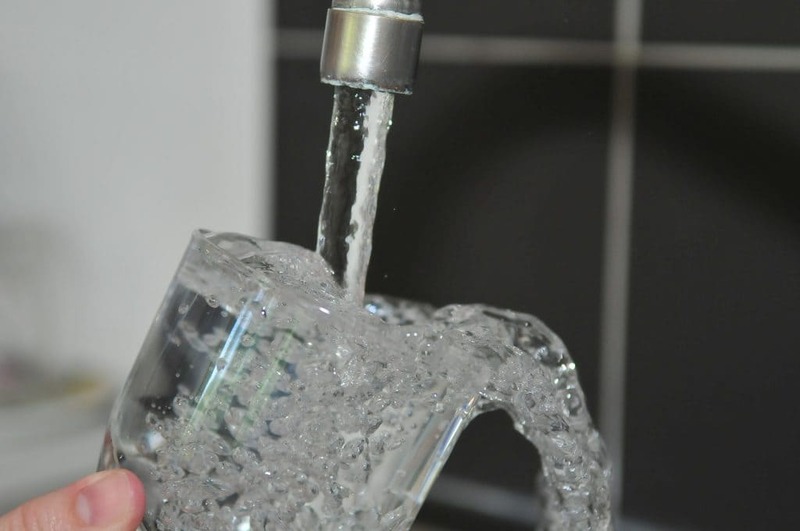 Filtered tap water is perfectly healthy to drink and doesn’t require a trip to the store. 2. It keeps you hydrated! Many drinks out there are advertised as promoting hydration, but water is the best source of hydration your body can get. Dehydration caused by exercise or other physical activity can cause side effects like bad headaches or increased tiredness. Simply drinking an extra glass or two of water a day can prevent these unwanted symptoms. 3. It promotes healthy skin! Skin naturally contains plenty of water and helps your body prevent the loss of excess fluids. Dehydrated skin can promote dryness and wrinkles, so drinking water can help your outward appearance as well! 4. It increases kidney function! Your kidneys are there to help flush toxins from your body, but they need water and other fluids to help move these waste products along. Lack of water intake can hinder your kidneys’ essential job of cleansing your body’s interior, and can eventually lead to kidney stones. Have a water filtration system installed in your home to make clean drinking water more available to you and save you the money you’d normally spend on buying bottled water. Take water from home with you when you’re on the go. Get into the habit of pouring yourself a glass with every meal you eat at home – and drinking the whole thing! Add fruits like lemon or cucumber into your water to make the taste more enjoyable. Use an app to track your water consumption! Daily Water and MyFitnessPal are great applications for your phone that can help you set goals and keep a count of how many glasses of water you drink on a daily basis. Drinking plenty of water is essential to your health, and ensuring the water in your home is clean and free of pollutants is crucial to staying healthy and hydrated. R&G Water Systems, Inc. is dedicated to making sure the water in your home is safe and healthy to use. Contact us today for more information or to set up an appointment to have the water quality tested in your home!